I moved states some time ago and while I had a good stable of retail shops dealing in spent video games in my old town, I have not found much in my current locale. That changed recently when I found a thrift store that I have occasion to visit on a near-weekly basis. Each time, I score 5-8 new CD-ROMs that I have never heard of before; many of them are unheard-of by MobyGames as well. The balance tips heavily in favor of forgotten educational titles or other Macromedia Director-based games, which fits right into my plan. It’s possible that there are other scavengers who visit the shop with more frequency and are snatching up titles with wider appeal. But I enjoy the more obscure stuff anyway. Unfortunately, these titles are so obscure and lacking in supporting, superficial literature that it’s a gamble — but only a dollar gamble or so. 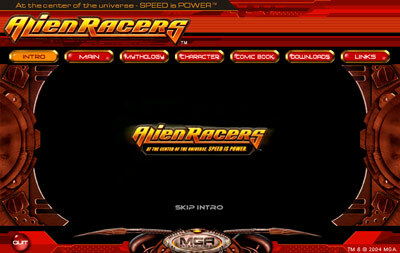 Such was the case with Alien Racers which sounded like an awesome racing game. I was a tad suspicious that the CD-ROM prominently displayed Macromedia Director and QuickTime logos. Alas, it’s just an interactive comic book. So let’s move on with one that I sincerely hoped was not a mere storybook in CD-ROM form: Beauty or The Beast. That’s right– not a typo; it’s an ‘OR’, not an ‘AND’. The game does bear the markings of Emme, which gives me chills. This company was involved in the accursed Mr. Men and Little Miss series. But to be fair, they were only involved in the distribution, not the development. 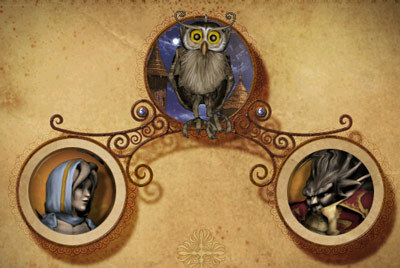 So this game is loosely based on the classic Beauty and the Beast fairy tale. It is most assuredly not based on the popular 1991 Disney variation. 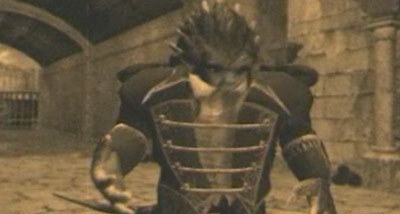 According to Wikipedia, the game’s story is not strictly based on any other known variation. Your choice at the start of the game is to, as the title implies, choose to play as either Beauty or the Beast. This sets you on one of 2 adventure paths with 2 different back stories. In the Beauty version, Belle’s father is wandering through the forest, gets lost, finds the Beast’s castle, ambles inside and is summarily imprisoned. Back at the dinner table, the clock strikes 22:00, the stew is getting cold, and Belle decides to form a one-fairy-tale-character search party. In the spirit of Frogger, the player must guide all of the curiously hydrophobic amphibians from the middle to the outer edges of the fountain. Do this by clicking on a frog to make it jump. 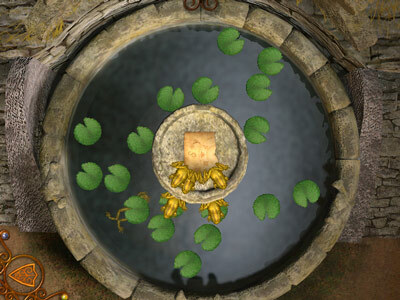 It is necessary to make the frog jump through 3 rings of lily pads moving at different speeds. Miss a pad and the frog promptly swims back to the safety of the middle. Also, they won’t stay on a pad forever before jumping on their own accord. The moth is suspected to want to tell you something. But it gets caught in a massive, cooperative spider web. 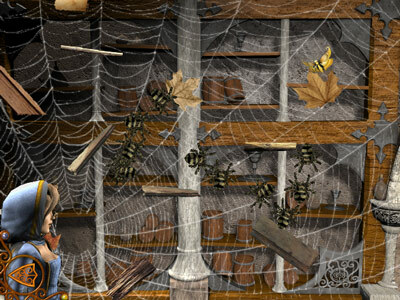 It is necessary to continually click on the individual spiders to knock them down to the bottom of the screen while the moth slowly makes it down to the hole near you. If the spiders reach the moth, they simply push it back to the top right corner of the screen where it has to reset its journey. So there is also the “Beast” half of the game. The backstory here, told in a sepia tone, is that a princely figure was at his castle, minding his own horse, when a witch came along and put a curse on the whole place. My adventure with the Beast — the first task is to investigate this female interloper who has recently come knocking — didn’t last long since his very first minigame is to light 6 torches in a foyer by clicking on each. The catch is that the last must be lit before the first goes out or you have to start over again. Basically, it takes the same lightning mousing speed as the spider/moth game described above. The game shares some major annoyances with those other games mentioned published under the Emme umbrella. Primarily, meandering, unskippable dialogue. There was also a serious flaw present in the torch minigame where it was impossible to properly quit the activity through normal means. The in-game menu is inaccessible during minigames and the escape button usually present during minigames was missing. I had to use more “out of band” Windows methods to quit the game. Poor form. Pretty game, though. Much credit for that.